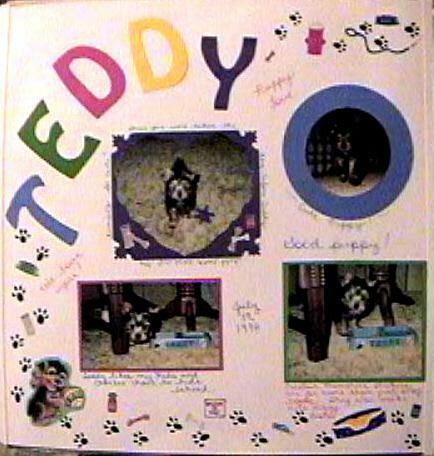 These pages are of our sweet, adorable little Yorkie, Teddy. His "pedigree" name is Charla's Cherished Teddy, but we just call him Teddy and he is like our baby. We love him very much and I take lots of pictures of him. He was a very special birthday gift to our daughter from her aunt.